There aren’t many certainties about the origins of crochet. However, there are strong indications that this craft technique has arisen in the Asian continent. Crochet came to Europe through the trade routes with the far East and had greater expression from the 17TH century. It is assumed that the word “crochet” has originated in the medieval French word croké (iron tool hook-shaped). Currently, is a type of crafts practiced worldwide and is applied to make the various parts, from the decor to clothing. To start any crochet project will have to own, necessarily, a crochet needle. In addition to the essential, also you will need a pair of scissors and a tape measure (indispensable for measuring a sample, as well as the length of the piece of crochet). There are other accessories that may assist in this practice. 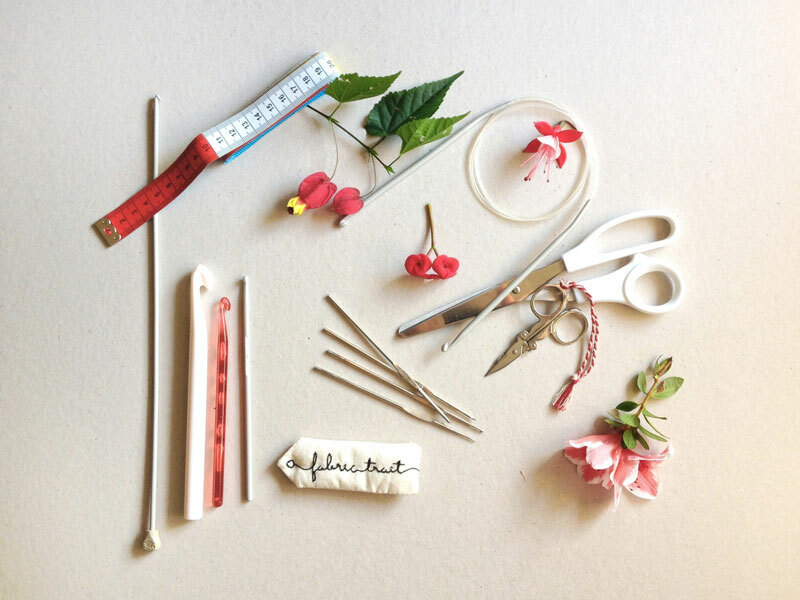 Among these are: the darning needle (to sew and crochet pieces together); the points (tools that serve to mark a certain point); the needle gauge (allows you to determine what caliber of a needle). Typically, crochet needles have one end only in the form of a hook (standard needles), but there are also state-of-the-art double crochet needles and circular. Normally, the thinner needles are used to working with thinner wires and run a more delicate crochet, like income, and thicker needles are usually used to make garments. These can be made of various materials (wood, bamboo, metal and plastic) and can present a wide range of calibers and lengths. As well as needles, crochet yarns also can be of various materials (animal, vegetable fibres or synthetic fibres and combinations) and present with different thicknesses and colors. 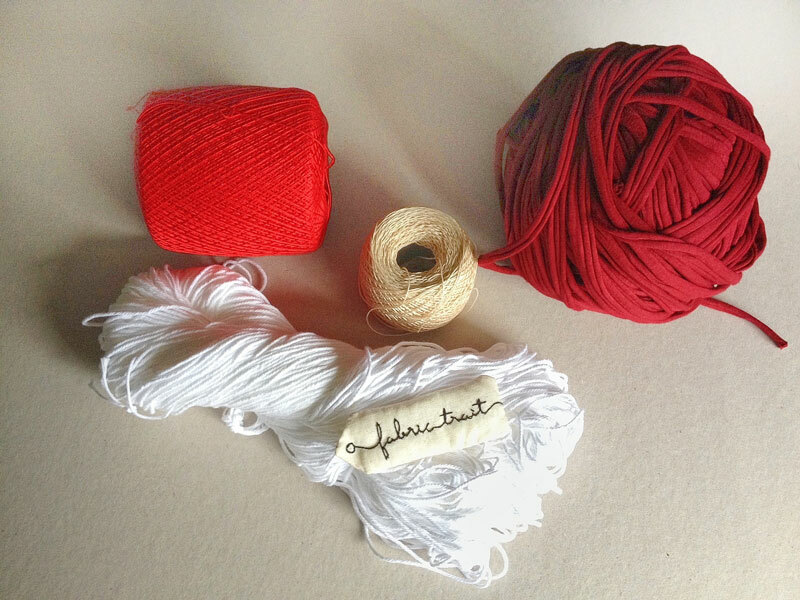 Crochet cords can be purchased either in the form of ball as in skein form, and usually come accompanied by a label. This label contains the washing instructions, size of needles to use, weight, length, composition and a code associated with the color (it depends on the brand). The color code is important to keep in case of buying the same line to complete or repair work. Before starting your crochet, it is important to familiarize yourself with some of the terminology associated with this technique. This knowledge will allow you to interpret correctly the schematics and diagrams that might want to do. As there are available a large number of schemata in English, here are some terms you may encounter and their correspondence in Portuguese. In addition to the crochet terms there are also the symbols. How to execute each peer’s universal crochet so when it is able to reproduce each of the points of crochet, you can interpret any schema, regardless of their language of origin. Before you begin, please note that it is important to hold the needle and thread. The needle can hold as much as a knife or a pencil, as you seem more comfortable. The wire, you must position it between the fingers of the opposite hand, controlling your blood pressure which should not be excessive or even small, only needed (will have to find “middle ground” because it is too high the points will be very tight and will not be easy to work with the needle and if reduced will be with open spaces in his work). Crochet is a very versatile technique. Find out about some basic instructions so you can get your crochet on the March. The cord node represents the first string tie ties that will work with your needle. You can do this with the help of a needle or simply with the hands. The crochet bead corresponds to the basic foundation of his work and this will determine its length. The crochet basis points are the points: shallow, low, high, medium high, high, high double triple. What distinguishes visually is your “time”. We will try to do one at a time. First of all, and whichever point you going to do, start by making the cord the length you want. If you are counting the number of ties that are doing to build a particular schema, do not forget to count on the extra links that will have to work to make up the first point and start a career. 3. in order to build any crochet stitch, should just have left a single loop on the needle. This point is the simplest crochet stitch. Consists only in rope the wire into needle and make him go through the interior of two ties, in intention of unite. The low point is the “short” of crochet. Note: it is not necessary to throw the yarn on the needle before starting to run the point. The midpoint is, as the name implies, a midpoint between the high point and the low point. Note: it is necessary to throw the yarn on the needle, once, before running the point. The high point is more “high” that the previous point. The double is more “high” that the previous point. Note: it is necessary to throw the yarn on the needle, twice, before running the point. Consequently, the triple is more “high” that the previous point. Note: it is necessary to throw the yarn on the needle, three times, before running the point. Crochet can also be worked in circular shape. Here are two ways to do this: by a wire circle (magic circle) or a bead circle. This ring is made from a wire loop. The wire circle makes it possible to adjust the points worked, drawing the tip of the bow. Note: as soon as you can, cover a few centimetres of wire that corresponds to the end of the skein, the back of your work and the interior of the points. For this you can use your crochet needle or use a darning needle. Cut the excess. Already the bead circle is less flexible. In this case, rather than grow the career of points around a loop of wire, a piece of crochet, closed, and the career of growing points on this circle. Note: remember that the larger the chain, the more points you will be able to do the same but the resulting “hole” in the center of the circle will be larger. Note: go by disguising a few centimeters from the tip of the wire cord from the back of your work, as running the dots (so you don’t have to do it later). Cut the excess. After finishing any piece, attach the wire to your work doesn’t unravel. You have to do is, even with the needle stuck in last loop, cut a few centimetres of wire and pull it out from the inside of the loop. Once you have pulled the wire try to tie a knot in the latter loop (for this you can also use a darning needle, if I give you more way). After ensuring that the work is not going to undo, cover the wire cut into the edge of your work. You can perform this step with your crochet needle or use a darning needle (with rounded tip). The Tunisian crochet is a way of approaching the tricot crochet. As particularity, this type of crochet is done with needles more elongated than the traditional and this is because of the construction of the fabric to keep the needle, like knitting. Another particularity of the Tunisian crochet is the fact that you never turn the work at the end of each career (unlike traditional crochet). The piece that you are doing, it will always be with the right side facing you. In the end, you get a play with a fairly dense, malleable texture. There is a wide variety of points associated with the Tunisian crochet, ranging as will changing the site of the jail where introduces the needle and the way keeps the wire that is being worked. This type can also be worked in crochet circular shape. Note: the Tunisian crochet has a tendency to curl at the ends. In an attempt to fix this, you can Lightly moisten the area and, with your fingers, try unfolding the fabric, stretching it. The tapestry crochet is a technique from which you can create in crochet motifs and form a single piece (that is, a piece that was not stitched from one or more pieces of crochet). To this end, the wires of different colors will move to the front and back of the work, as the reason chosen. The wires that are not being used will be “trapped” inside of the points that are being executed. There are several ways to create crochet tapestry but low is one of the most used in this technique. In the end, you will get a piece with a texture quite dense and heavy. In addition to low, you can also do this type of crochet with the midpoint high or high point (what happens is that the more “high” is the point, the harder it is to disguise the wires that are not being worked out by the interior of the stitch).